The wave of gentrification that has swept through South Harlem has brought luxury condos, interesting bistros and celebrity chefs. Unfortunately it has not added to the dumpling eating opportunities in Harlem. Jado Sushi Harlem, is a case in point, it looked promising but seriously underperformed. Jado is a sleek, low lit, Japanese restaurant with a wet bar up front and a sushi bar in the back, and emphasizes concocted, multiple layered in-side-out rolls. The Dumplings: The appetizer menu lists an aptly named “Ravioli Gyoza”, which is filled with Hamachi, whole shrimp, scallions, garlic, sesame oil, and shiso leaves. These dumplings do not in the least resemble traditional Gyoza, they look like large ravioli that have been fried on a griddle on each side. The combination of the Hamachi and the whole shrimp gave these dumplings a really great texture, there was flaky fish and the pop of biting into fresh shrimp. Unfortunately, the only flavor was that of burnt charred wrapper and whatever old, nasty cooking oil they used or maybe the griddle desperately needed a cleaning. This was a acrid flavor that clung to the inside of the mouth and stayed with me for blocks after I left Jado. The Dipping Sauce: The dipping sauce was also an epic fail. In was served in something that resembled a saki cup, so it was impossible to actually dip the dumpling into the sauce. The only way to get at the sauce was to bite off part of the dumpling and then pour the sauce over the remaining half of the dumpling. Unfortunately the sauce could not cover up the flavor of the dumplings. The Location: Jado is on Frederick Douglas Boulevard in South Harlem (110th Street to 125th Street) which is quickly becoming a major restaurant row in Harlem. This is a great area for dinner and night life, unless of course you want some dumplings. 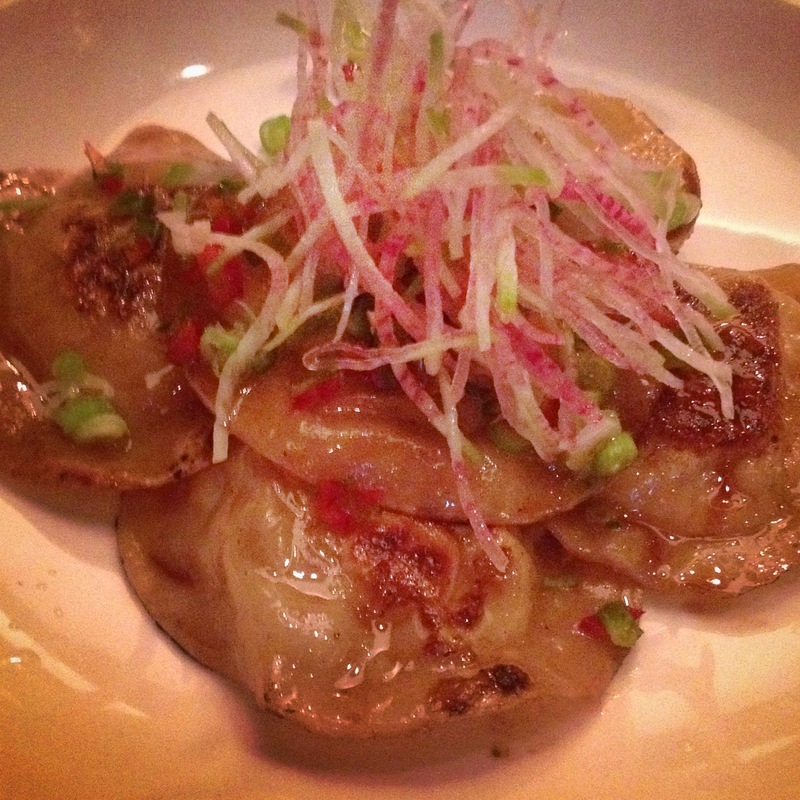 This entry was posted in Gyoza, Japanese, New York City, Pan Fried. Bookmark the permalink.